Ostarine (MK-2866) is a SARM developed by GTx for the prevention and treatment of muscle wasting. It may eventually be a medical prescription for the prevention of cachexia, atrophy and sarcopenia as well as for Hormone or Testosterone Replacement Therapy. As a research chemical, Ostarine belongs to a class of chemicals know as SARMS or selective androgen receptor modulators. SARMS create selective anabolic activity at certain androgen receptors. In comparison to testosterone and other anabolic steroids, the advantage of SARMS, is they do not have androgenic activity in non-skeletal muscle tissues. Ostarine is effective in maintaining and increasing lean body mass. Ostarine (MK-2866) binds to the androgen receptors just like anabolic steroids do, but it does this selectively, which means that it has considerably less side effects. A 12 week double blind placebo controlled phase II clinical trial was conducted on ostarine, which showed that ostarine increased lean muscle mass and improved physical function without the negative side effects seen with testosterone or other anabolic steroids. 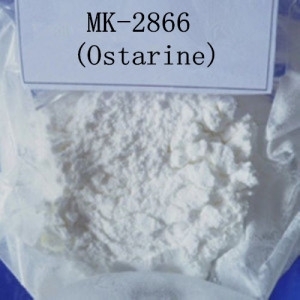 Ostarine (MK-2866) was developed mainly for the treatment of muscle wasting and osteoporosis. Nonetheless, it also retains nitrogen and strengthens the joints. Therefore, it is a very versatile compound in matters of health benefits. Ostarine (MK-2866) is the most anabolic of any SARMS, making its first and foremost use for wanting to gain lean muscle. The gains in total weight will not be comparable to bulking steroids, however the total gains will almost entirely be lean muscle. The gains that are made on ostarine are very keepable and users generally see an increase of up to 7 lbs. of lean body mass over and 8 week cycle at 25mg day (diet dependent). The most common dosage is 25 mg for 8 weeks. The side effects that one encounters with steroid use will not be present on cycle. Generally, with ostarine, the higher the dosage, the more suppression. Although suppression is minimal and is nowhere comparable to suppression that one encounters on steroids, any cycle of ostarine over a 4 weeks period requires a 3 week mini pct. A serm is not required in this pct. Ostarine would primarily fit into a cutting protocol for the maintenance of muscle mass while reducing calories. As Ostarine has anabolic effects, the dieter can cut calories without having to worry about muscle or strength loss. Ostarine has also shown noticeable nutrient partitioning effects among users, another reason why it can be of great help when cutting. A 15-20 mg dosing protocol for 6-8 weeks is good for cutting with Ostarine without undergoing any side effects or high suppression. However it must be stated that due to the lack of androgenicity, muscle hardness and overall results are not as prominent as with the SARM S-4. Recomping is where ostarine truly shines. The recomping effect of losing fat and gaining muscle at the same time is what the majority of users are looking for. Trying to achieve this when you are not absolutely new to training is extremely difficult. Where Ostarine shines for recomping is in its nutrient partitioning benefits. Calories are taken from fat stores and calorie intake is fed to the muscle tissue. The dosing protocol of 20-25mg for 6-8 weeks will give excellent recomp effects. The effects of ostarine translate to anabolism in bone and skeletal muscle tissue, which means it could be used in the future for a variety of uses, such as osteoporosis and as a concurrent treatment with drugs that reduce bone density. Therefore it has great application as a compound to use for rehabilitation of injuries, in particular bone and tendon related injuries. Doses of 12.5mg per day is recommend for such purposes and improvement in joint movement that can be seen after just 6-8 days. Endurance: You can stack ostarine with cardarine for increased endurance before your workout or run. increase lean muscle mass and strength without additional side effects. During PCT or bridge: Ostarine is minimally suppressive at 25mg per day for 4 weeks or less. Thus, it can be stacked into your post cycle therapy, or your bridging phase, to maintain strength and muscle. SARMs triple stack: If you want to recomp (build muscle mass while losing fat at the same time), Ostarine stacks beautifully with andarine and cardarine. Ostarine's half life is a very robust 24 hours, so only once a day dosage is necessary. The liquid form should be shaken, squirted into the mouth, and swallowed immediately. It is also recommended to chase down with some juice or water. Furthermore, it is important NOT to hold ostarine under tongue or mix the liquid in a cup, as it can be lost. 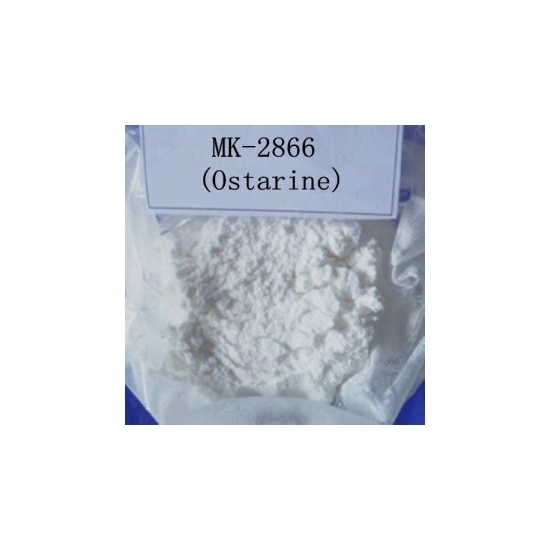 Ostarine (MK-2866) dosage is typically between 12.5-50mg per day. The lower end dosages are for those who want to use it for its healing abilities, and the higher end dosages are for more recomping and muscle mass gain.